I can’t remember a darn thing these days. My brain tends to be a colander with big holes in it so all my brilliant ideas can run right through. Maybe its the stress of trying to run my own business, or keeping up on household chores. Maybe it’s exhaustion from chasing after Moose and the Bean all day. Thinking about any one of these just makes me want to curl up in bed and take a nap, but …I’ve got stuff to do! And I need to write that stuff down as soon as I think of it, or its just gone. 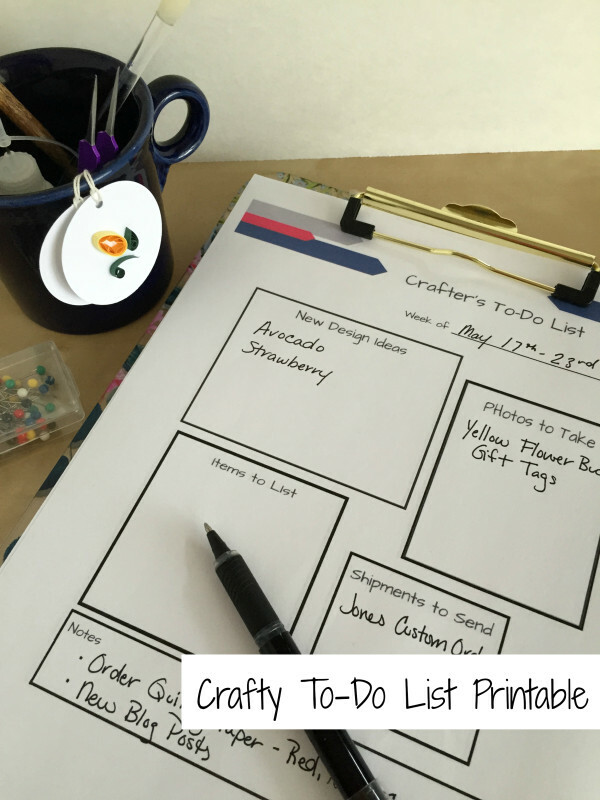 So I’ve created a crafty to-do list just for the creative business. 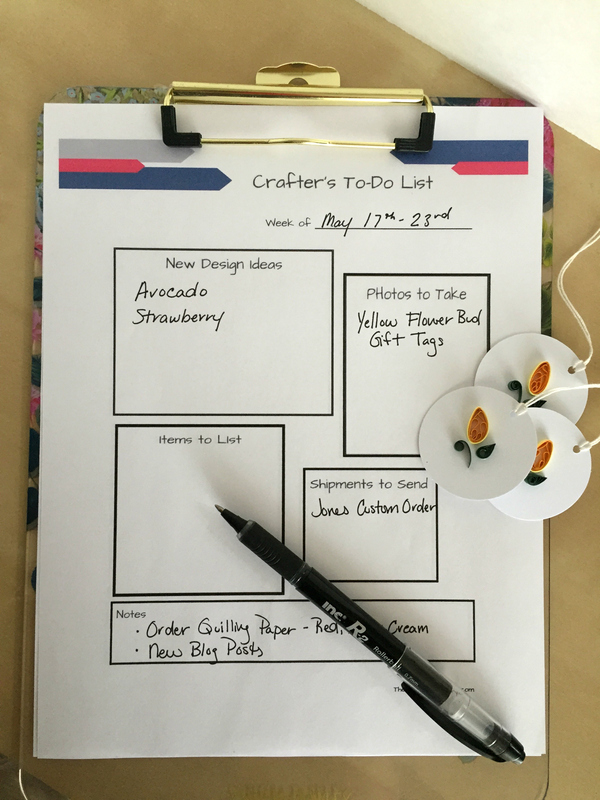 I still have lists for my home/family reminders, but usually I need something separate for work-type notes. Week-sized bites instead of daily, since day by day is pretty chaotic around here. If I can give myself a week to cross things off the list, its a lot more realistic and seems to relax me a little bit more. I hope this might ease the load of some other creative out there trying to juggle a small business on top of all their other obligations. 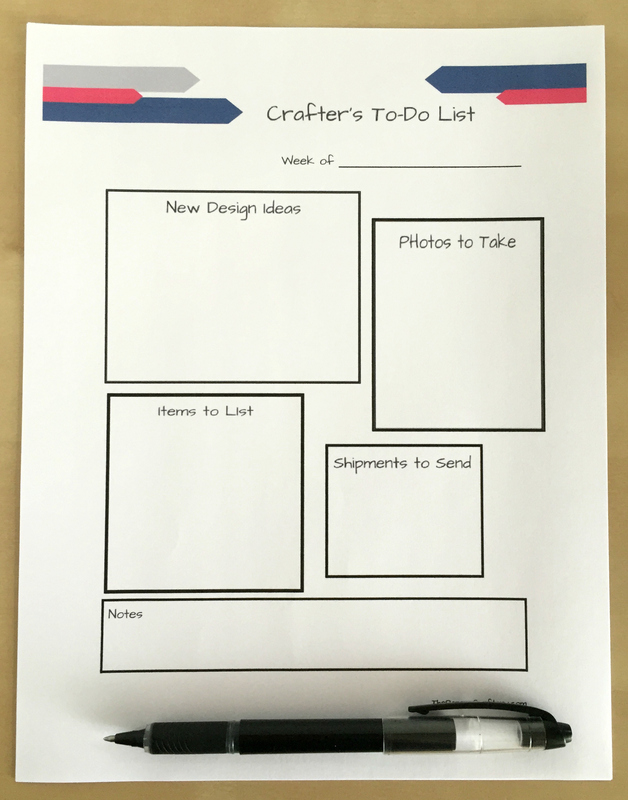 And I’m sure there are lots of new ideas you all use to help you organize your crafty shops! So, let’s share them! What do you use? Post-its? An app on your phone? Leave a comment with any great organizational tips you use to ease the stress in your creative businesses, I’d love to hear them!